Duluth’s Canal Block, better known today as the home of Green Mill Pizza, was built in 1889 by the Val Blatz Brewing of Milwaukee. The entire second floor was occupied by the Maine Hotel, and the main floor originally had 5 storefronts; one opened to the hotel entrance, another to a restaurant, and the others to three separate saloons (Blatz apparently hoped to sell a lot of beer to hotel guests—or, more likely, residents). Paper Products Company moved in in 1931 and stayed until 1966. 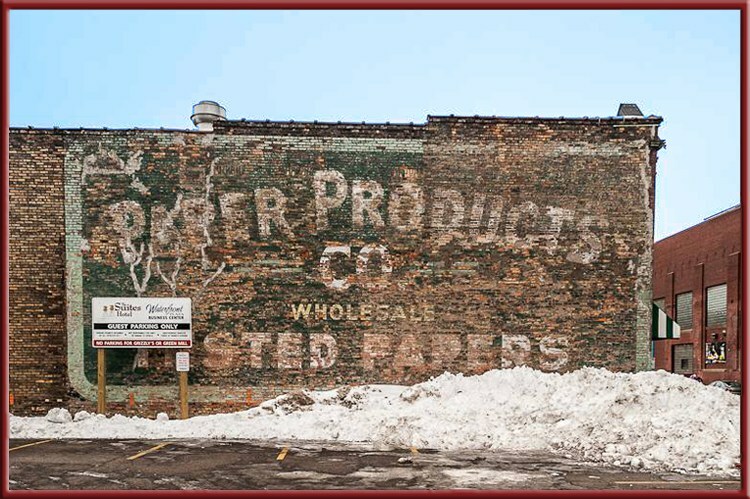 The building sat vacant until 1970, when Wipson, Inc., a construction firm, moved in. Wipson left in 1978, after which Hick’s Construction used the building as storage until 1988.